Don't just run ads, build a community! We all know simply setting up an Etsy shop doesn't guarantee immediate success. It's almost like opening up a brick in mortar shop in the middle of nowhere and hoping someone will stumble across you. Getting your SEO right is key to success, but if you've spent countless hours trying to tweak your titles and tags, yet nothing seems to be working chances are you're ready to start running ads. There's a lot of buzz on Facebook ads not working for Etsy sellers. Too expensive, not worth it, doesn't work, you name it! The key to Facebook ads is to build an audience rather than simply getting clicks to your shop. Before running any ads, if you haven't already, create a business page on Facebook and start inviting friends and family to like your page. Start building a community around your product. For example look at Thevelvetacorn, one of the top sellers on Etsy absolutely killing it on Facebook. She has over 50,000 followers on Facebook at the time of this writing! What they focus on is community. They aren't sales-y, they don't simply try and drive traffic to their Etsy shop. No! They build a brand and brands need to constantly be in the consciousness of their buyers. So start by creating a Facebook business page. 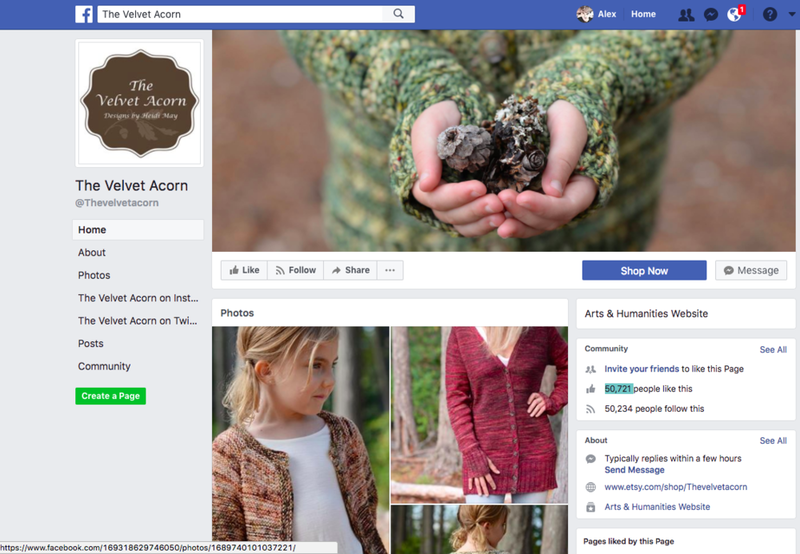 After you've done that, create your first Facebook ad for one of your Etsy products.